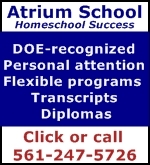 Of the three options available to FLorida families wishing to homeschool their children (establish a home education program, enroll in a private school, or maintain a private tutor program), most families choose to either establish a home education program or enroll their children in a private school with a homeschooling option. 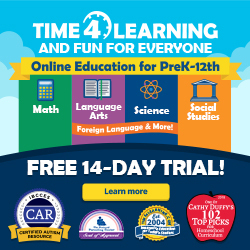 Only those families who choose the first option — establish a home education program — are counted in Florida state statistics about homeschooling. So when you read statistics concerning the number of homeschooled children in Florida, you can safely assume that the real number is roughly double that stated number, since children being homeschooled through a private school are not counted in any way. In fact, legally, children who are being homeschooled through a private school are considered to be private school students, NOT homeschoolers. While this distinction has no bearing on how you teach your child, it does have an impact on the laws that govern your program as well as the opportunities available to you. This chart shows some of the legal differences between homeschooling through a private school and homeschooling by registering with the school district. When looking at this chart, bear in mind that it reflects legal requirements and differences only. Private schools for homeschoolers may set their own requirements regarding curriculum, samples of work, testing, and so on. If this is an option you wish to pursue, you will want to talk to several schools so that you can find one that matches your educational philosophy, need (or lack thereof) for support, and budget.